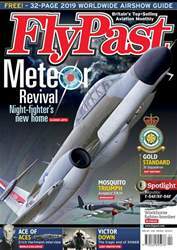 The April issue of FlyPast shines a light on a British classic – an airworthy, UK-based Gloster Meteor night-fighter. Relatively few classic jets are flying in UK skies at present and while the future for our cover star isn’t entirely certain, Dave Thomas has succeeded in keeping the world’s only airworthy Meteor NF.11 in the UK. Darren Harbar recounts an extraordinary story. Luftwaffe legend Erich Hartmann was interviewed by warbird pilot Howard Cook in the early 1990s, but the conversations have never been published … until now. Our popular Spotlight section showcases two closely related US-built Cold War jets – the F-84F and RF-84F. With exclusive features, artwork and rarely seen imagery, we outline the history and roles of these two warplanes. 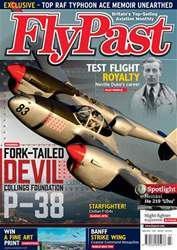 Gavin Conroy details the latest Mosquito rebuild to take flight from the Avspecs stable in Ardmore, New Zealand. The final air engagements of World War Two over the Pacific are examined by Donald Nijboer. The catastrophic loss of the Victor B.2 prototype XH668 in 1959 is outlined by Andrew Brookes. 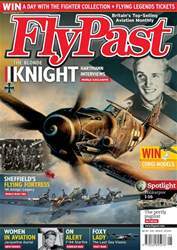 Also, Andrew Thomas chronicles the history of the RAF’s 31 Squadron, from colonial combat to the final flight of the Tornado GR.4, and editor Chris Clifford visits a prolific aviation artefact hunter, whose collection is among the most impressive in private hands. Jamie Hunter reports from the Royal Thai Air Force Museum and we bring you news of a Spitfire that’s due to return to the air. 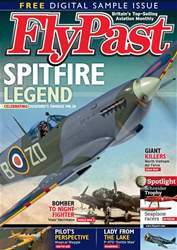 Plus, there’s a free 32-page guide to all this year’s major airshows, both in the UK and further afield.